Osteoporosis affects approximately 10 million Americans over the age of 50, and a further 34 million older Americans have low bone mass (osteopenia). And brittle bones in our later years is a major mortality risk. For example, 1 in 5 people who fracture a hip die withing 6 months (and if you extend that time frame to 1 year, it’s even worse, 1 in 4 die). Keeping our bones healthy can greatly improve our health in old age, but it comes in handy at any time of life! Our bones provide structure to our bodies, anchor our muscles for movement, protect our organs, and store calcium and other minerals for us. The good news is that it’s relatively easy to support our skeletal health, by providing the right nutrients and the stimulus of activity! Is Dairy Essential for Bone Health? “Milk, it does your body good,” or so we’ve been told by actors and models with comical milk mustaches since the 1980s. However, once we recognize that there are several reasons why dairy products are not ubiquitously beneficial (see The Great Dairy Debate), the natural follow up question is “but, what about bone health?” Dairy products are not the only good source of calcium out there. In fact, fruits, vegetables, nuts, seeds, meat, and seafood all contain substantial quantities of calcium. It’s easy to see how a veggie-rich Paleo diet with an emphasis on seafood plus nuts and seeds in moderation can provide the Recommended Daily Allowance of calcium every day (see also The Importance of Vegetables, The Importance of Fish in Our Diets, Oysters, Clams, and Mussels, Oh My! Nutrition Powerhouses or Toxic Danger? and Nuts and the Paleo Diet: Moderation is Key). Another calcium-rich superstar is blackstrap molasses, discussed in Blackstrap Molasses: The Sugar You Can Love!. Not only do fruits, vegetables, nuts, seeds, and seafood contain substantial amounts of calcium, but there is scientific evidence that we absorb more calcium from cruciferous vegetables (like kale) than we do from dairy. Cruciferous vegetables (like kale, cabbage, broccoli, collard greens, and turnip greens) may be the best source of dietary calcium. In fact, several studies show that fruit and vegetable intake correlates much more strongly with bone health than dairy intake. In fact, the scientific evidence is mixed on dairy and bone health, with some studies indicating that higher dairy consumption may increase the risk of fractures and osteoporosis. Yes, to prevent osteoporosis and look after your bones, eat your veggies! 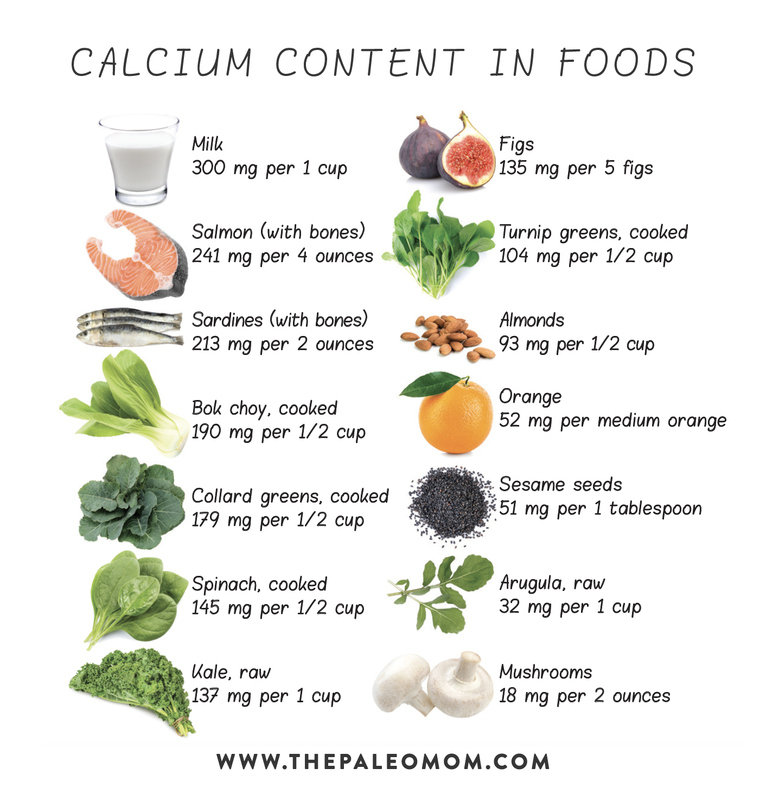 Other great sources of dietary calcium include green leafy vegetables, nuts (especially almonds), seeds (especially sesame seeds), figs, oranges, dried apricots, okra, bok choy, and seafood (especially when we eat the bones as you would with canned salmon or sardines). Other fruits and vegetables also provide calcium, though to a lesser extent. Organ meat and long-cooked bone broth are sources of not only calcium, but also magnesium, phosphorous and collagen, which are critical for bone health as well. The fact that minerals other than calcium are needed for healthy bones might be one of the reasons higher vegetable intake correlates with better bone health—vegetables also provide these other essential minerals, whereas dairy contains only a handful of nutrients. Also, worthy of note: vitamin D status influences calcium absorption. 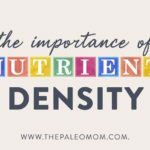 So, testing to make sure your serum vitamin D levels are in the functional range (50 to 70 ng/mL is probably optimal) and supplementing accordingly is essential. Read more in Vitamin D.
Bone health is about much more than calcium. In fact, there’s at least twenty micronutrients that are essential for bone health, either as constituents of bone, required for enzymatic activity involved in bone remodeling, or as regulators of bone formation. Bone is composed of a mixture of minerals (calcium, phosphorous, magnesium, sodium and potassium, mainly) deposited around a protein matrix that acts as a scaffold. It’s the combination of inorganic (minerals) and organic (protein) materials that provide bone with both strength and flexibility. About 65% of bone tissue is minerals, chiefly calcium and phosphorous bound together in a molecule called hydroxyapatite. 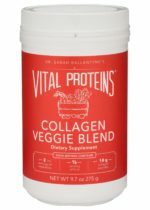 The remaining 35% a protein matrix, 90 to 95% of which is type I collagen. Collagen fibers cross-link and twist around each other, forming the interior scaffolding upon which bone minerals are deposited. 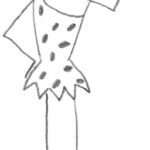 Even once we’re fully grown, bones are constantly being remodeled—bone tissue is both resorbed (broken down), which is driven by a cell type called osteoclasts, and formed, which is driven by a cell type called osteoblasts. Osteoclasts erode the surface of bones by secreting enzymes that degrade the protein matrix and acids that solubilize bone minerals. Osteoblasts form new bone by first secreting the protein matrix and then gradually mineralizing the matrix by secreting hydroxyapatite crystals. Osteoblasts then either die, become bone lining cells, or become osteocytes, a type of bone cell that regulates bone mass through signaling to osteoblasts and osteoclasts. The bone remodeling process loses equilibrium as we age: Even by our mid-30s, the rate of bone resorption can exceed that of bone formation (especially in the context of nutrient-deficient diets and sedentary lifestyles), leading to loss of bone mass and higher rates of problems like osteoporosis and osteopenia as we age. Interestingly, maintaining insulin sensitivity is key to regulating bone remodeling, as discussed in The Case for More Carbs: Insulin’s Non-Metabolic Roles in the Human Body, but see also How Many Carbs Should We Eat? 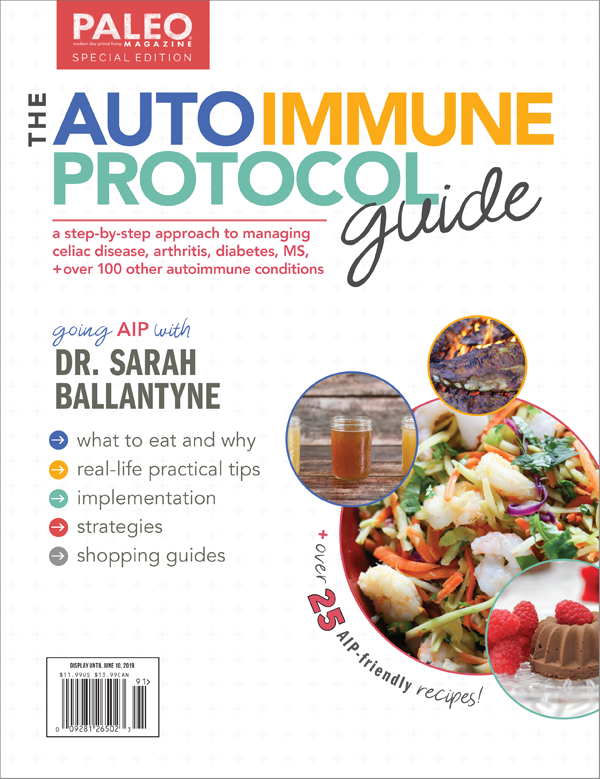 and 3 Ways to Regulate Insulin that Have Nothing to Do With Food. 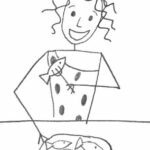 The major protein in bone is collagen, which we get richly from organ meat, seafood, and bone broth (see Why Everyone Should Be Eating Organ Meat, Why Broth is Awesome, The Importance of Fish in Our Diets, and Oysters, Clams, and Mussels, Oh My! 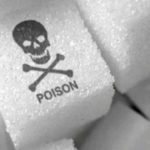 Nutrition Powerhouses or Toxic Danger? ) and which we can easily supplement with Vital Proteins Collagen Peptides. The best sources of phosphorous are fish, shellfish, nuts and seeds. We get magnesium from seafood, nuts and seeds, leafy dark green vegetables, and cruciferous vegetables. Potassium is found in leafy dark green vegetables, cruciferous vegetables, some fruit (such as bananas and cantaloupe) and orange veggies. 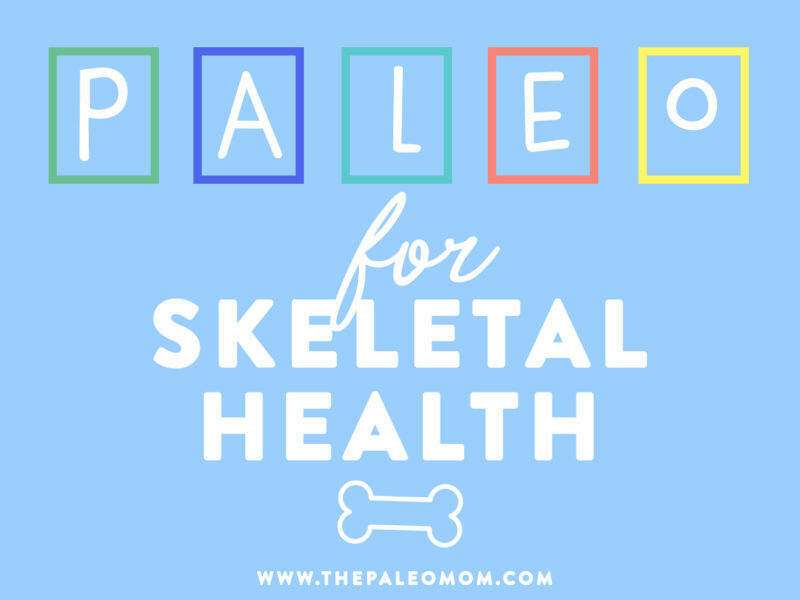 In addition to protein and minerals as raw materials, fat-soluble vitamins (A, D, and K2 in particular) are essential regulators in bone mineralization. Where do we get these essential fat-soluble vitamins? Seafood, dairy fat from grass-fed cows (see Goat Milk: The Benefits of A2 Dairy), and the fat from grass-fed and pasture-raised meats. Because the majority of people still don’t buy meat and dairy from pasture-raised sources, for most people the dominant dietary source of these vitamins is seafood. No wonder high seafood intake also correlates with bone health! Another major factor in bone health has nothing to do with food. Weight-bearing exercise–meaning exercise that involves moving your own body weight around, like walking–is excellent for our bones! Osteocytes are thought to be mechanosensor cells, meaning that they respond to mechanical stresses on bone like the impact of walking and signal to osteoblasts to produce more bone accordingly. See The Importance of Exercise and The Benefits of Gentle Movement. 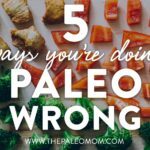 Basically, if you are eating plenty of fruits and vegetables (especially cruciferous vegetables) and seafood, sourcing the best-quality meat you can, maybe incorporating some bone broth into your diet, and getting some exercise (even if it’s just walking), you are doing a great job of looking after your bones. Sounds like the Paleo Diet and the Paleo lifestyle! Aloia JF, et al. Vitamin D supplementation increases calcium absorption without a threshold effect. Am J Clin Nutr. 2014 Mar;99(3):624-31. doi: 10.3945/ajcn.113.067199. Atkinson W, et al. Food elimination based on IgG antibodies in irritable bowel syndrome: a randomised controlled trial. Gut. 2004 Oct; 53(10): 1459–1464. Hu D, Cheng L, Jiang W. Fruit and vegetable consumption and the risk of postmenopausal osteoporosis: a meta-analysis of observational studies. Food Funct. 2018 May 23;9(5):2607-2616. doi: 10.1039/c8fo00205c. Price CT, Langford JR, Liporace FA. 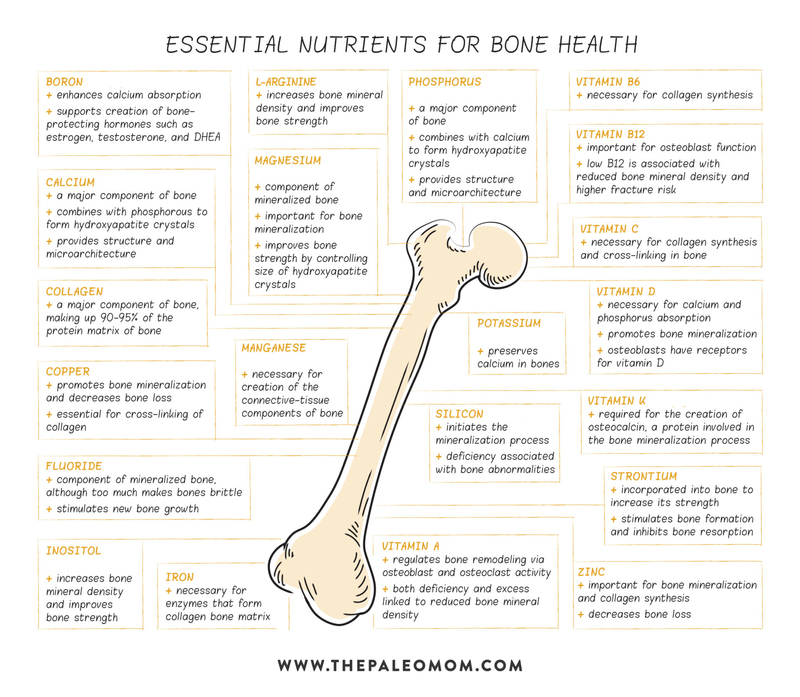 Essential Nutrients for Bone Health and a Review of their Availability in the Average North American Diet. Open Orthop J. 2012;6:143-9. doi: 10.2174/1874325001206010143. Epub 2012 Apr 5. Qiu R, Cao WT, Tian HY, He J, Chen GD, Chen YM. Greater Intake of Fruit and Vegetables Is Associated with Greater Bone Mineral Density and Lower Osteoporosis Risk in Middle-Aged and Elderly Adults. PLoS One. 2017 Jan 3;12(1):e0168906. doi: 10.1371/journal.pone.0168906. 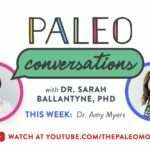 Previous Post: « TPV Podcast, Episode 317: How Do I Weigh Quality and Budget in Meat Products? Hi Sarah and team, I was wondering if you could find trustworthy nutrition data on Orach, I can’t find it on the free sites but I thought you may have access to purchased ones. This link says 100g will give you 200%of RDI which I am disinclined to believe.